Easy to clean at low cost! ■Clean the small space locally! 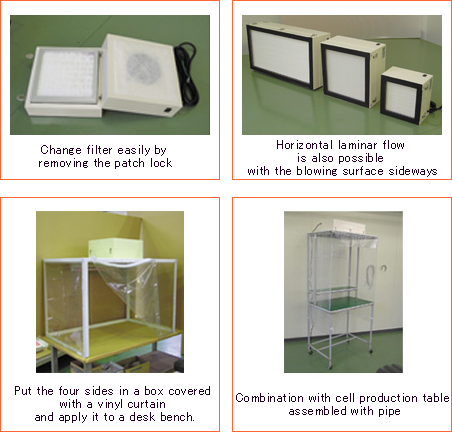 ■Suitable for various applications such as small clean booth, clean bench, clean storage cabinet! ■Since this is using a grounded outlet, you can use it immediately after purchasing. Also see the assembled aluminum clean booth page combined with FFU.